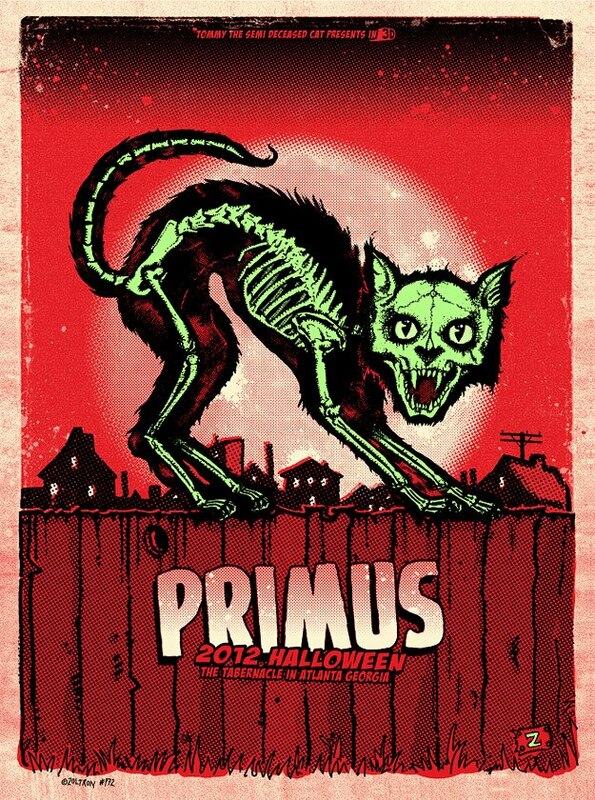 Primus has to be one of the best bands on earth to celebrate Halloween with and the Tabernacle is without a doubt the perfect venue to host such an occasion. It was a party from start to finish featuring some new tunes, some old tunes, and a 15 year bust out. The first set was filled with mostly new and some old, with Primus showing off their jammier side with lots of nice and spooky improvisation. The second set was a barn burner that featured some oldies that had the crowd raging hard until the last note. After “My Name Is Mud,” which was a huge highlight in and of itself, Les said, “I don’t want to blow a bunch of smoke, but this is the best crowd I’ve ever played for… and to celebrate we are going to play a song we haven’t played in about 15 years.” The band immediately ripped into “The Heckler,” which got an enormous reaction from the crowd and went on to be the highest highlight of the evening. With 3d visuals, halloween costumes a plenty, and a couple raucous sets of music, this one was certainly a treat for the tips.